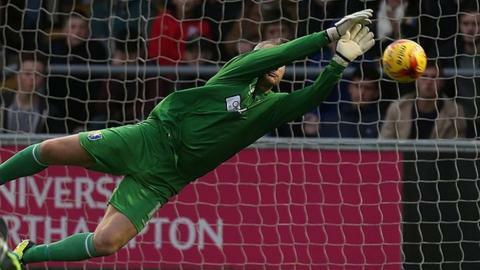 Mansfield Town duo Jamie McGuire and Brian Jensen have signed extended contracts with the League Two club. Midfielder McGuire, 32, joined the Stags from Fleetwood Town in May 2013 and has made 84 appearances in all competitions. "I'm buzzing and am already looking forward to next season. It has been a good season, one of progression and we want to build on that," said McGuire. Goalkeeper Jensen, 40, arrived last June and has agreed a one-year deal. He was 40 years, seven months and nine days old, when he lined up against AFC Wimbledon in January. What next for relegated Newcastle? Read more on Newcastle relegated: After years of poor decisions, what next for Magpies?